My congratulations to Solicitor General Jose Calida for winning the Quo Warranto petition in the Supreme Court that unseated Ma. 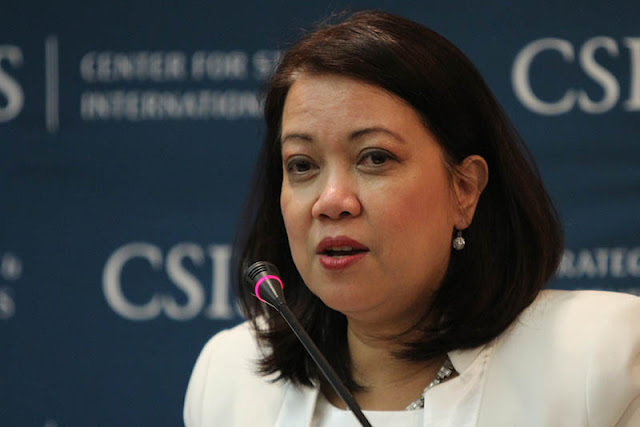 Lourdes Sereno as Chief Justice of the Supreme Court. It is a creative master stroke of lawyering that saves government from costs and expenses that would otherwise be incurred in the impeachment proceedings against former Chief Justice Sereno. Should a motion for reconsideration be filed, the same would be an exercise in futility because the Supreme Court majority decision is based on solid constitutional and legal foundation. The requirements of honesty, integrity, and transparency under the constitutional provisions on Public Accountability as enforced and implemented under the Code of Conduct and Ethical Standards for Public Officials and Employees (RA 6713) requiring submission of Statement of Assets and Liabilities and Net Worth (SALN) are indispensable qualifications for appointment as Chief Justice, the post being in itself also a high public office. Under the Constitution, a public office is a public trust. The submission of a declaration under oath of a public officer or employee’s assets, liabilities, and net worth not only upon assumption of office but also as may be required by law, is a mandatory requirement under Section 17, Article XI of the Constitution. The JBC rules requiring applicants for the Chief Justice post to submit their previous SALNs has the binding force of law. Any public official who fails to disclose his/her assets and net worth in the SALN is disqualified under the Constitution and the Code of Conduct and Ethical Standards for Public Officials and Employees to be appointed Chief Justice for lack of proven integrity. The claim of bias and prejudice on the part of the magistrates would not hold. The case was decided on the merit under the letter and spirit of the Constitution and the law. There is no grave abuse of discretion or error in judgment committed by the justices sought to be inhibited. There is no bias and partiality because the decision is based on the merit under the Constitution and the law. In any event, the case of Marbury v. Madison, in which Chief Justice Marshall wrote the court’s opinion although he was the Secretary of State who had acted on the papers subject of litigation, provides one of many cases that goes against Sereno’s bid to inhibit the Supreme Court Justices from the proceedings. The Supreme Court being the final arbiter in our system of government, it is fundamentally important that issues of national significance and consequence be determined, whenever possible, by the full Court. Atty. Ma. 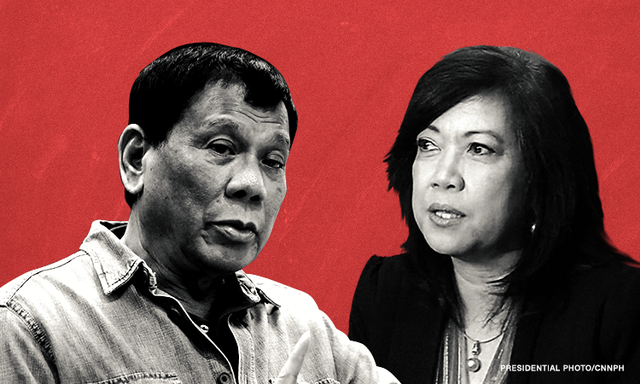 Lourdes Sereno is barking up the wrong tree in accusing President Duterte in unseating her from the Supreme Court. There is absolutely nothing in the evidence to prove the accusation against the President. The President, being a lawyer, is fully cognizant of the principle of separation of powers, and does not interfere to influence the decision making of the Supreme Court. This is manifested in the aborted mayoralty recall election in Cabadbaran City, Agusan del Norte. The COMELEC already issued a resolution for the recall election in Cabadbaran City, where Judy Amante—a candidate for mayor against incumbent mayor, Katrina Mortola—is supported by President Duterte, as is evident in the large billboards all over Cabadbaran City. President Duterte had no influence over the Supreme Court which, by a vote of 14 to 0, issued a Temporary Restraining Order enjoining the recall election for mayor in Cabadbaran City. I salute the Supreme Court for protecting its integrity and dignity as an institution against the abusive and dictatorial person occupying the post of Chief Justice, who ignored the collective decisions of the Supreme Court En Banc, and instead imposed her own individual acts as acts of the Supreme Court as a collegial body, even without the approval of the Court En Banc. The subsequent actions of Atty. Sereno affirms her disqualification to sit as Chief Justice of the Supreme Court. 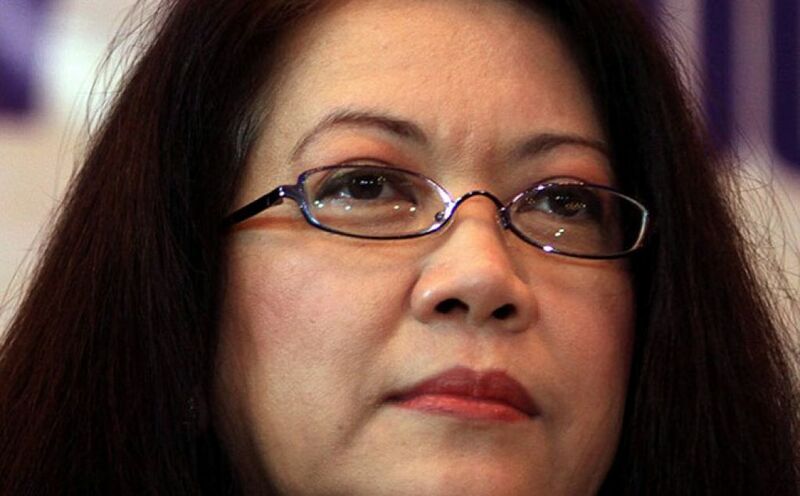 She claimed bias against the six (6) justices who testified against her in the impeachment proceedings, without contesting the facts that these magistrates disclosed therein, and without pointing out what is wrong with the decision that should demonstrate that the decision on the merit was rendered unfairly and with partiality and prejudice against her. 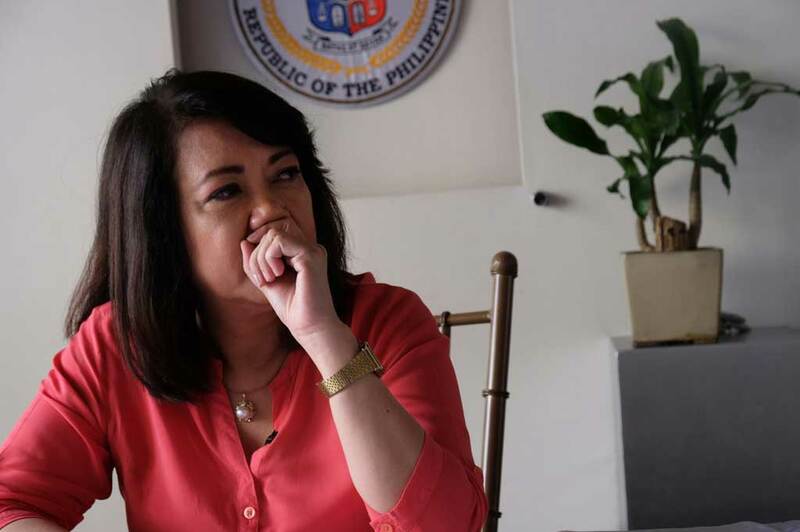 When Sereno was a Professor at the UP College of Law, she did not attend more than 80% of the class she taught, which eventually led to her resignation from UP. I have personal knowledge of this fact because I was the lawyer who filed the complaint against her on behalf of an aggrieved student to whom she gave a failing grade. The complaint was that a professor who was absent more than 80% of the time has no right to flunk anyone. Like black mail, Professor Sereno produced a list of Professors who were similarly mostly absent like her. I did not pursue the complaint because I did not want to implicate the other co-professors concerned. Fortunately, the law student was enrolled provisionally, made good, graduated from the UP College of Law, passed the Bar, and is now a lawyer. Ma. 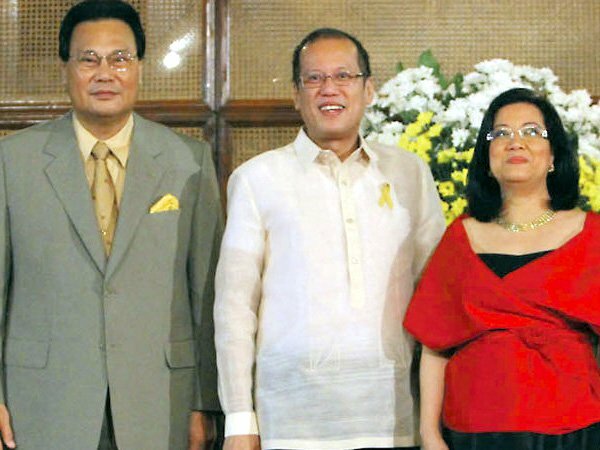 Lourdes Sereno is not qualified to be Chief Justice of the Supreme Court. She does not have administrative talent to earn the respect of the other justices, and she failed the constitutional standards of honesty and integrity by failing to comply with the constitutional and statutory requirements for the submission of the SALN—for which the lowly court interpreter in Rabe v. Flores, Adm.Matter No. P-97-1247, May 14, 1997, and a former Chief Justice were dismissed from office. One question in the psychiatric interview for the Chief Justice post is whether the applicant can work with peers as a collegial body. Her actuations after assumption of officer as Chief Justice demonstrate her incapacity to work with her peers as a team. Her acts of imposing her will on her peers in the Supreme Court and railroading and imposing her administrative decisions without approval of the En Banc constitute evidence of similar acts, scheme and habit, admissible in evidence on her lack of leadership and ability to work within a collegial body. Truly, it is difficult to function under a dictator. I congratulate Solicitor General Jose Calida for his creative legal master stroke. The Duterte administration is blessed to have Solicitor General Calida, Presidential Legal Counsel Salvador Panelo, Presidential Spokesperson Harry Roque, and Atty. Perfecto Yasay Jr. as part of their legal team.